50 years ago, in 1967, the first human heart transplant was performed by Dr Christian Barnard in South Africa. In the same year Sweden switched from driving on the left-hand side to the right-hand side of the road. The average value of a Telford property was £2,241, interest rates were at 5.5% and The Beatles released one of my dad’s favourite albums – their Sgt Peppers album … but what the hell has that got to do with the Telford property market today?? Quite a lot actually … so let me explain my friends! I have been doing some research on the current attitude of Telford first-time buyers. First-time buyers are so important for both landlords and homeowners. If first-time buyers aren’t buying, they still need a roof over their heads, so they rent (good news for landlords). If they buy, demand for Telford property goes up for starter homes and that enables other Telford homeowners to move up the property ladder. 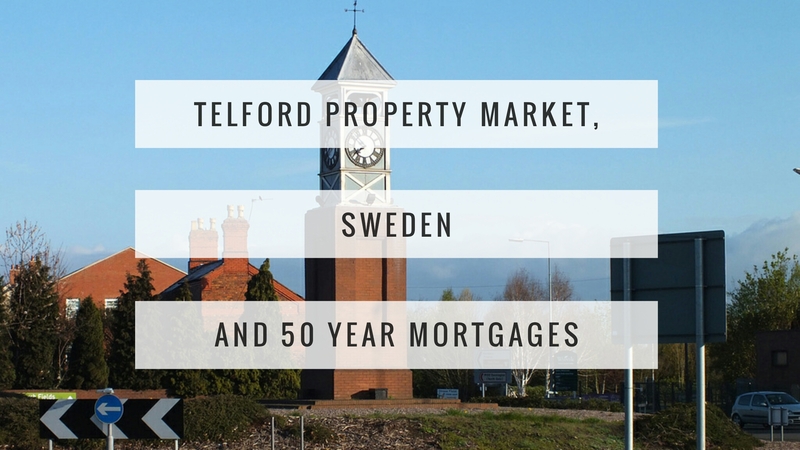 The average value of a Telford property is currently standing at £168,957 and UK interest rates at 0.25%. As each year goes by, it appears the age of the everlasting mortgage has started to emerge, prompted by these first-time buyers, eager to get a foot on the housing ladder. I was reading a report a few days ago where some mortgage companies confessed that the battle to gain big returns from the property market has led to mortgages that will take considerably longer than the customary 25 years to pay off. Over the last few years, it has been commonplace for first-time buyer mortgages to be 30 and 35 years in length as the ‘Bank of Mum and Dad’ have been helping with the deposit. Now, some high street banks are offering mortgage terms of 40 years. This means first-time buyers could be paying until their mid 60’s. So, a 50-year mortgage does not seem as far-fetched now as it would have been back in the 1970’s. After all life expectancy for a male then was exactly 69 years and today its 79 years and 5 months! Over the last ten years, Telford property prices have continued to rise more than wages, therefore, first-time buyers are looking for bigger loans. If this development continues, the only way repayments can remain reasonable is by increasing the term of the loan. However, some commenters have said there are worries the mortgage companies are lending money over such a long term, they threaten leaving some first-time buyers with a generation of debt if the house price bubble bursts. Interestingly, when I looked at what had happened to average property values in Telford over the last 50 years, there have been bubbles. First-time buyers should take heart, since as a county we have always recovered from it a few years later. What if interest rates rise? Well looking at historic UK interest rates, the current rate of 0.25% is at a 300-year low. Mortgages will never be cheaper. I would however, seriously consider fixing the rate to cushion any future potential interest rate rises (since they can only go in one direction when they do change). If Telford first-time buyers see buying a home as a long-term decision, based on the last 50 years, they should be just fine! Before I go, a final thought for property buyers in Sweden, the land of Volvo and Abba. As Swedish property prices are so high, Swedish Regulators announced last year limits on the length of Swedish mortgage terms. They don’t bother with 50-year mortgages. No, our Volvo-loving Swedish friend’s average mortgage length is 140 years (this is not a typo). Although such mortgages have had their day, regulators have significantly reduced the maximum term of a Swedish mortgage to 105 years. Either way, that’s a lot of money to pay back!